Select EA titles get the Amazon credit treatment. If you were planning on playing Dead Space 3, Crysis 3, SimCity, or Army of Two: The Devil's Cartel on launch day, but haven't yet placed your pre-order, Amazon has an enticing option for you. Placing your pre-order through the online retailer will net you a $20 Amazon credit which can be used for future purchases. 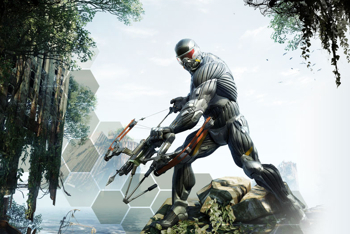 In addition to the monetary bonus, your order can net you exclusive bonuses like the "Enervator Gun" in Dead Space 3, the "Heroes and Villians" pack for SimCity, and a copy of the original Crysis with Crysis 3. The $20 bonus is available regardless of your system preference, so feel free to mix and match between PS3, Xbox 360, and PC to your heart's content. We probably don't have to remind you, but Amazon offers release day delivery for all of these titles, so if you choose to take advantage of this offer you won't be left out in the cold on launch day.